There is a universal clenching of teeth that surrounds any sort of discussion around Snapchat’s founder Evan Spiegel. While it is easy to sit back and laud his early accomplishments (biomedical internships, Stanford pedigree, etc…) there is little surprise surrounding the success of the tech wiz-kid when you take a step back and look at the bigger picture. Born to Melissa Ann Thomas and John W. Spiegel, Evan was raised in Pacific Palisades, California. A small, beachfront community nestled in the Santa Monica Mountains. With winding avenues and a quaint downtown, Pacific Palisades is the ideal setting for anyone’s childhood. 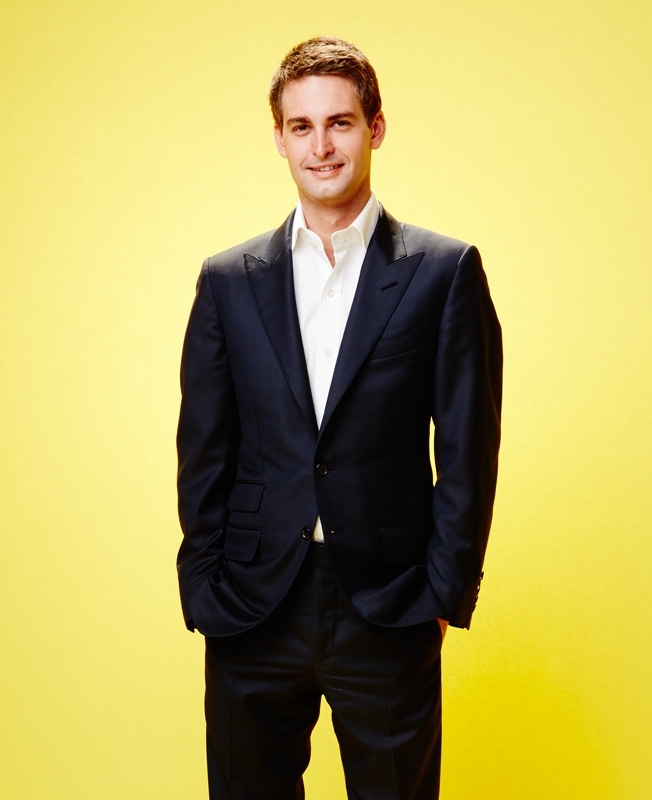 To his credit, Evan Spiegel has made the most of his opportunities. With a strong interest in design that has shown in each successive redesign of the Snapchat App, it is no surprise that he took classes at the OTIS College of Art and Design at the Pasadena Art Center during his high school years that then fueled his interest in product design. When finally arriving in Palo Alto, Spiegel was well primed for the pursuit of a degree in product design, fraternity life and (almost) four years spent living the life of an (almost) model student. This is where the clenching of teeth begins. In his 2015 USC Marshall School of Business commencement address, Spiegel spoke out against conformity. “The thing that makes us human are the times that we listen to the whispers of our soul and allow ourselves to be pulled in another direction.” While advocating for innovation and making the most of your own individuality, a visibly-nervous Spiegel tries his hardest to look at home in a graduation gown knowing that he himself has never completed his own Bachelors. This sharply contrasts with the Evan Spiegel we see today who is offering words of wisdom to the graduates. While Mr. Spiegel only alludes to his own humanity, it is understandable that he wants to blaze past his own mistakes and close the door on a rather tumultuous chapter of his life. This idea of trailblazing is familiar to Mr. Spiegel only in name. Looking to follow in the footsteps of Mark Zuckerberg, never finishing a college degree was always in the plan. 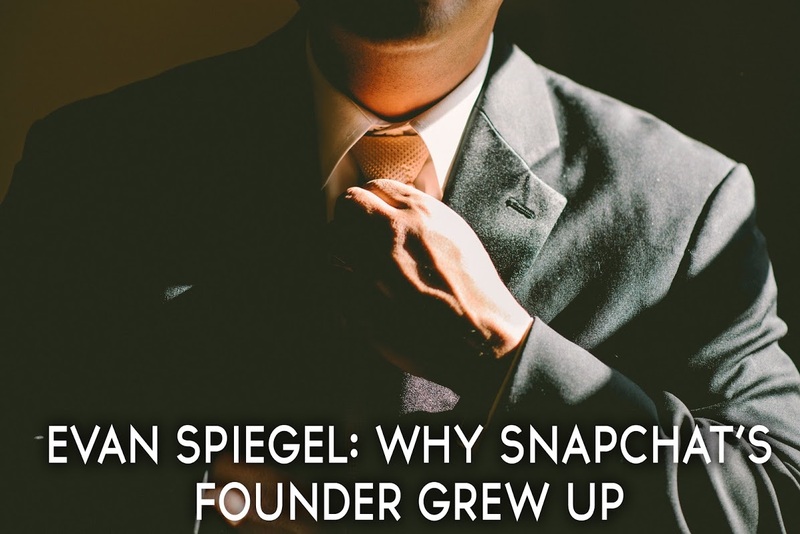 By founding Snapchat, with his then current fraternity brothers, the struggle over control of the company also seemed modeled after that of Facebook. Snapchat, at first, was seen as a “safer” way to send photos to friends but quickly found popularity and controversy by becoming a safe haven for offensive content produced by teenagers. Furthermore, anonymous cyberbullying became a rising trend due to the inability to save messages combined with the anonymity of each user. With each update, the app eventually began to clean up it’s act with the ultimate goal of monetization. And monetize it did. Mr. Spiegel resisted appealing buyout offers knowing that there would be no limit to the financial gains made once they could integrate advertisers into their popular “Stories” sector. Almost overnight, Snapchat, which was once a private messaging app became an extension of the digital advertising space. Today Snapchat is a menagerie of content from magazines, cable channels, brands, fashion icons, automakers, etc… The list is endless. While offering face and location-based filters, Snapchat continues to entice many more users every day.